Can I just say that I'm so excited I won a giveaway! It feels like another Christmas is coming in the mail! I'm new to the blogging world and I'm learning about all types of promotions. I found out that Sew Mama Sew hosts a Giveaway Day. So I checked out a few new blogs and entered some, okay lots, of giveaways! The list is still up of many, many crafty blogs! I won a new camera strap from Broward Patch on Etsy. I even got to pick it out from her cute selection in her shop! 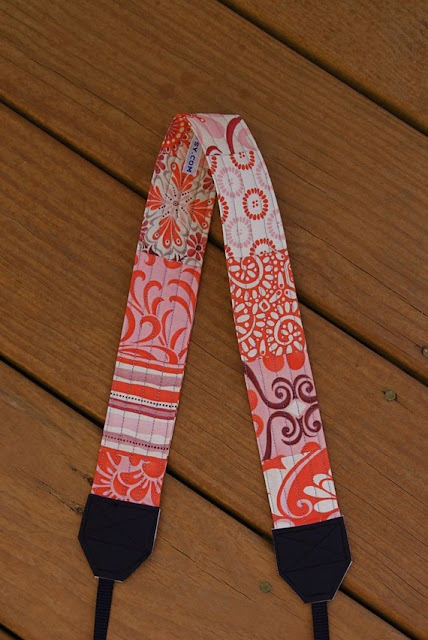 I chose the CORAL patchwork camera strap and it's even more beautiful in person! I must say that she stitches some of the straightest lines I've ever seen! It's so perfect because I just got a new camera (Canon Rebel XS) and while I haven't even had time to dislike the existing strap, this one is oh-so-much cuter! It's actually a replacement strap, not a cover for your existing strap. Strap covers might have a tendency to shift and get twisted, but this quilted camera strap is cozy as can be! 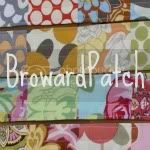 Thanks so much to Jennifer from Broward Patch! I love it!